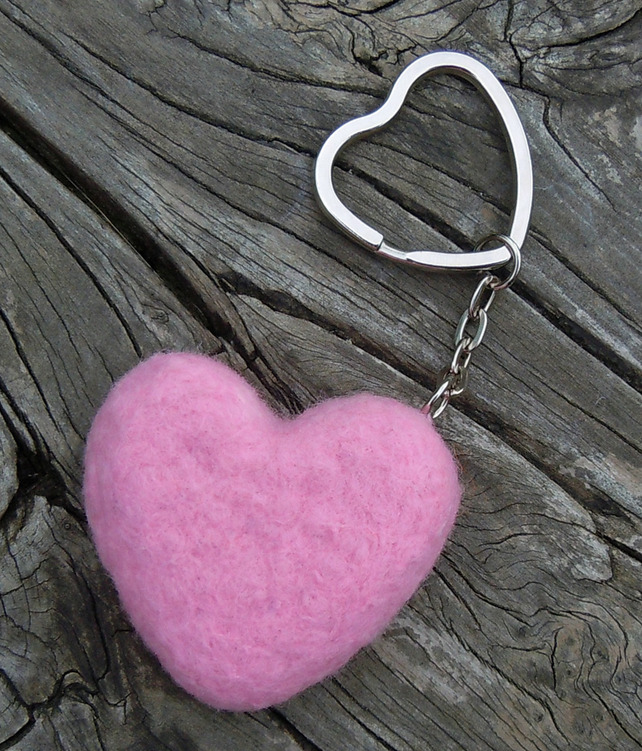 A pink felted heart shaped keyring with a lovely heart shaped split ring. I have handmade this from 100% Merino wool. Size: Heart - 5 x 5cm Size: Length of chain and split ring - 6cm Thickness of felt heart: approx 2cm. Folksy :: Buy "Sweet Heart Felted Purse"